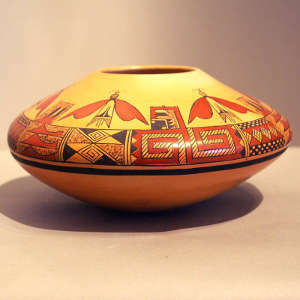 James Garcia Nampeyo was born to Louis Garcia (of Laguna Pueblo) and Leah Polacca Garcia in 1958. 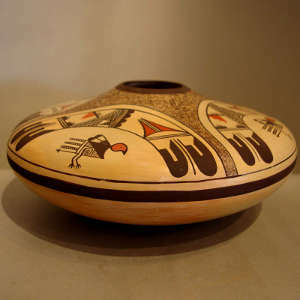 That makes him a great-grandson of Nampeyo of Hano and a nephew of Tom Polacca. 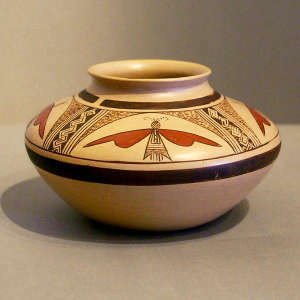 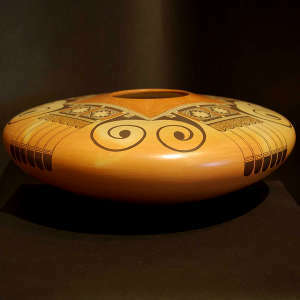 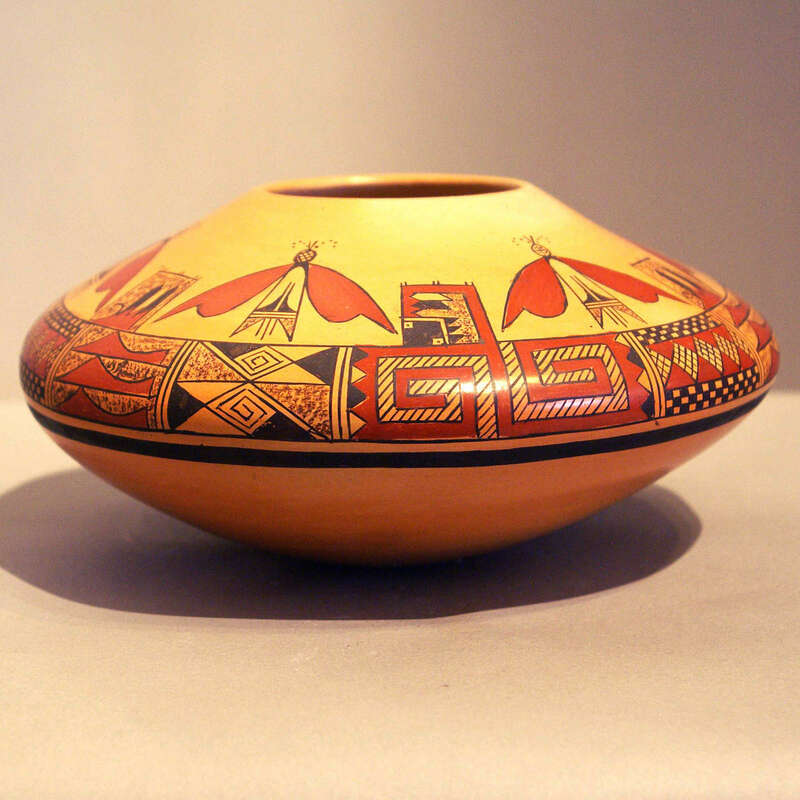 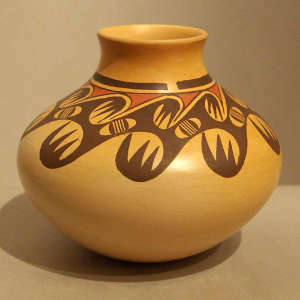 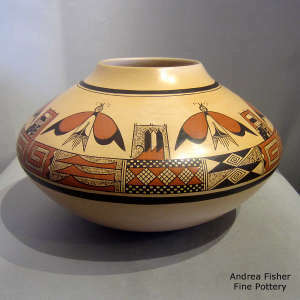 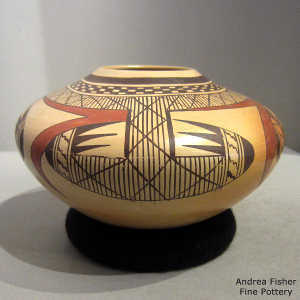 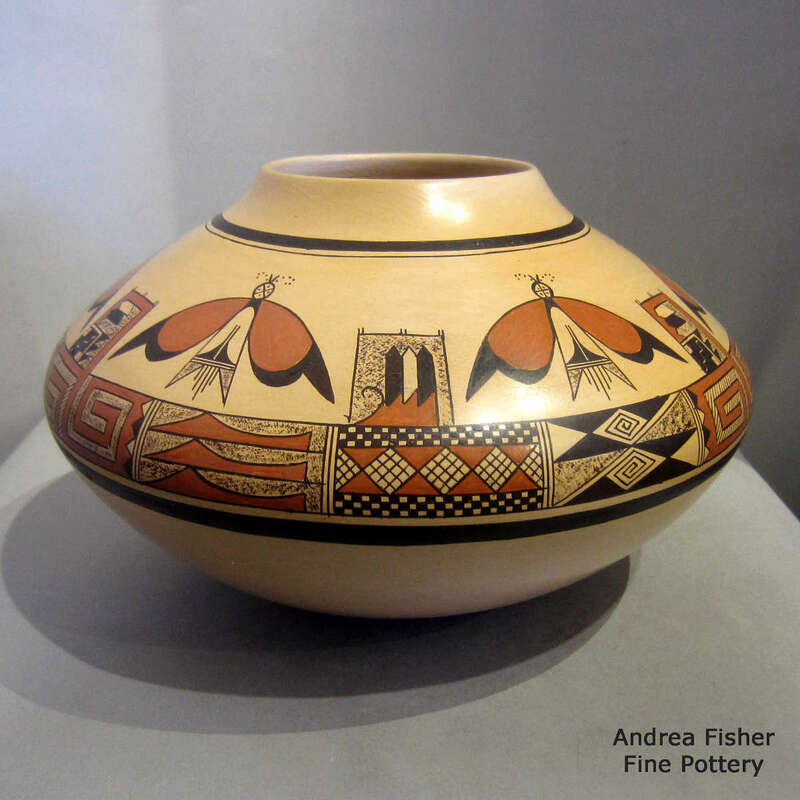 He was encouraged by his grandmother, Fannie Nampeyo, to learn the art of traditional pottery making as he grew up and he began producing pottery for the marketplace in 1975. 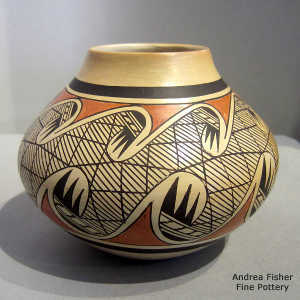 Over the years he's tried a few different styles and designs but he mostly prefers to stick to the styles and designs his great-grandmother made famous. 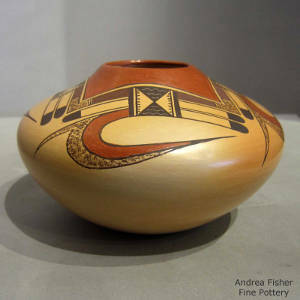 For a while he was married to Fawn Navasie and he sometimes collaborates with her in making larger pieces.